The ‘VMR’ operates as a virtual 500 series-style rack with hot-swappable modules, putting your entire processing chain in ONE WINDOW. This allows you customize your own channel strip in any order you choose, with the signal flow following the visual order of the modules. 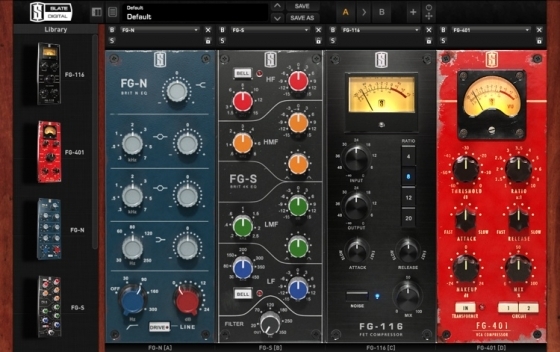 Moving modules around is easy, fast, and creates no break in audio playback: mix and match filters from different EQs, chain an EQ before or after your compressor, or create a different A and B setup and switch between them. 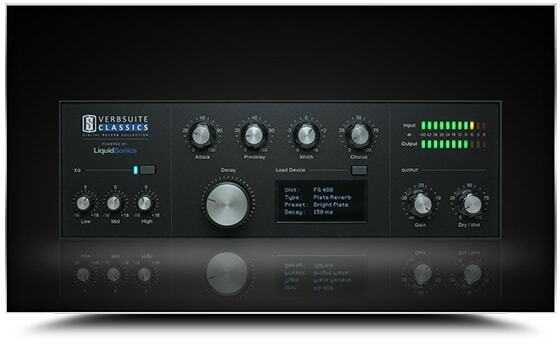 Audition signal chains faster, easier, and in real time with the Slate ‘VMR’. 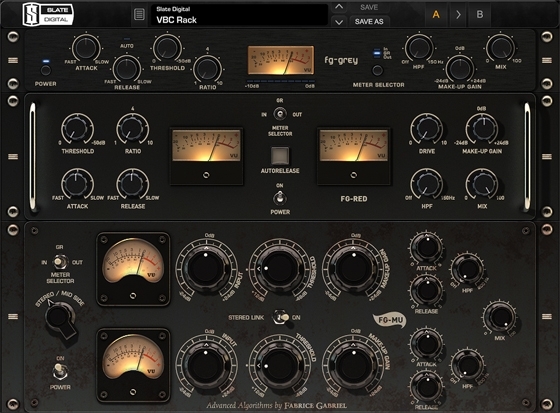 Virtual Mix Rack includes four world class mix modules, including two classic equalizers and two versatile mix compressors, with more modules to be developed. 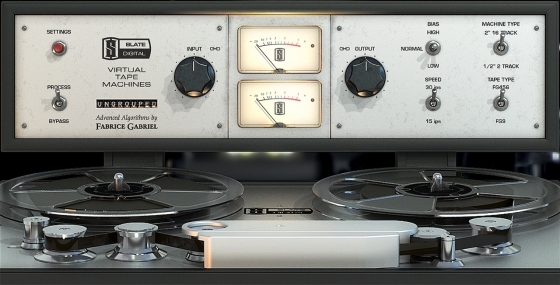 Virtual Tape Machines is designed to have the big, fat, warm, deep, rich, of Analog Tape Machines. 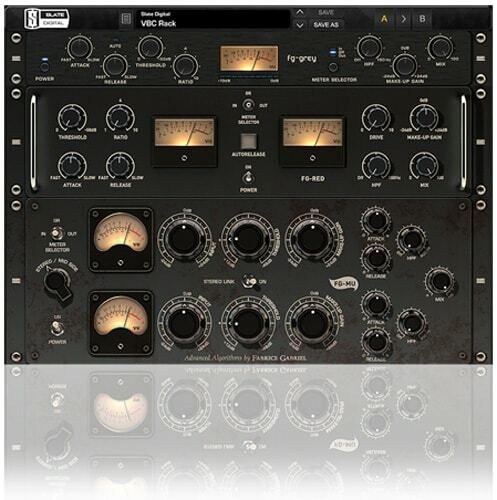 Virtual Buss Compressors comprises three unique sounding, 100% analog-modeled dynamic processors that are designed for program material including full mixes, mastering, drums, group mixes, and more. 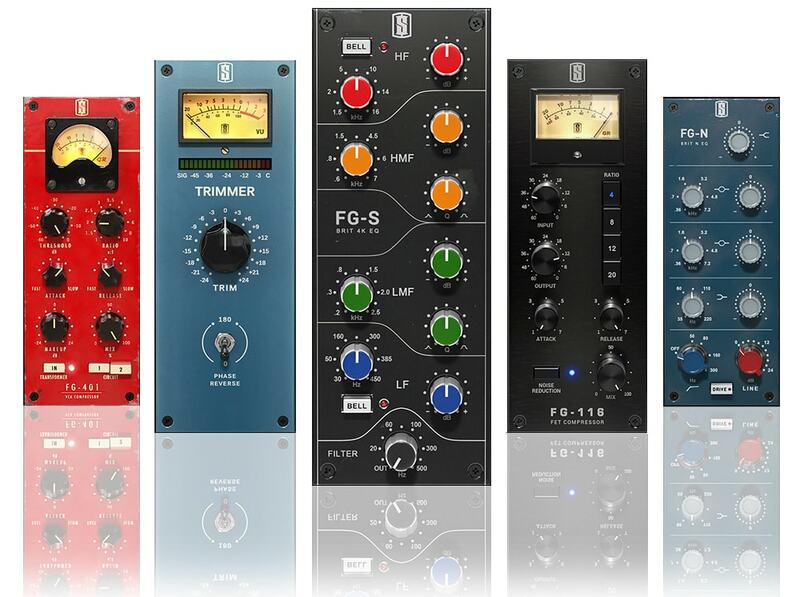 Every nuance of real analog compressors has been modeled; including the exact nonlinear characteristics of their transformers, tubes, VCAs, amplifiers, phase distortions, harmonic distortions, and timing. 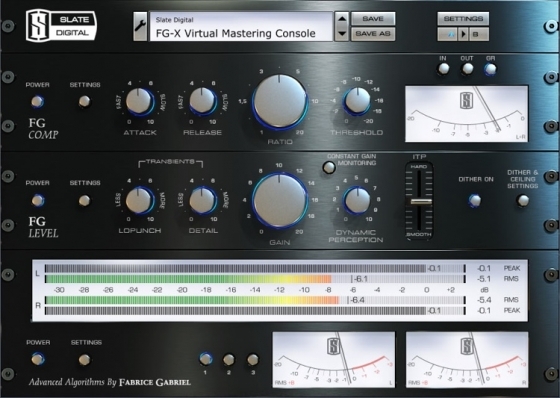 FG-X Virtual Mastering Console Dynamics Module is the initial plug-in in Slate Digital's mastering line.